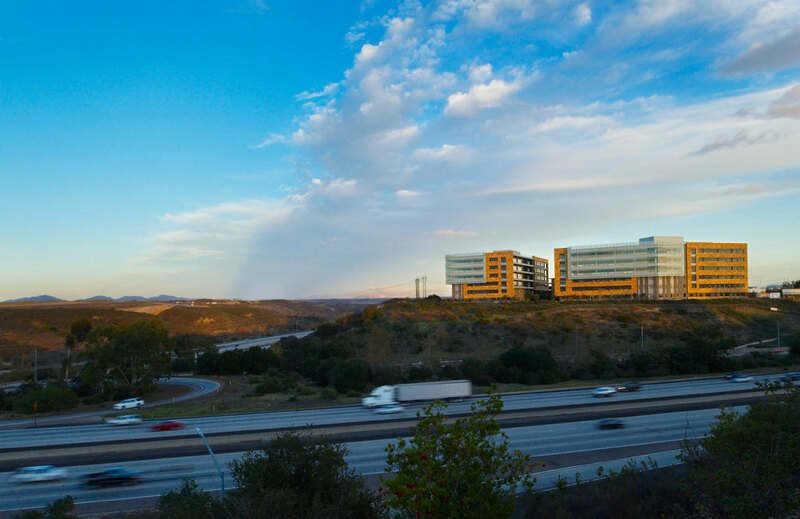 This class A office development sits at the intersection of two busy freeways in San Diego. 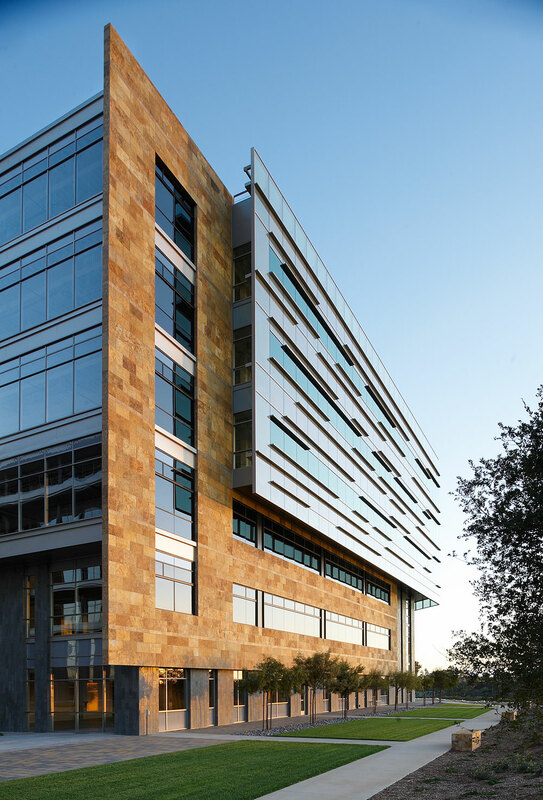 The buildings are conceived as a single mass pulled apart to expose views of the interior working environment. 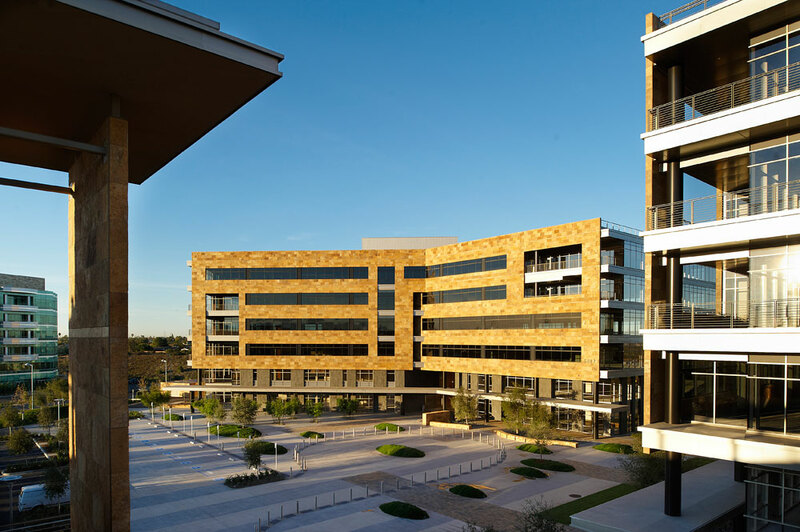 Each building responds to different solar orientations through the use of projecting decks, layered building skins, patterned glazing types, and human scaled walkway canopies.